4. JS Should Be Linted Real-time Linting enforces style guidelines, finds typos, and helps avoid errors. There’s a variety of linters out there, but I suggest ESLint. You can run it via Gulp with gulp-eslint. Gulp can watch all your JS files and run the linter everytime you hit save. Oh, and again, you need your JS in a separate .js file to lint it. Starting to see why I made “JS should be in a separate file” rule #1? Immediately Invoked Function Expressions (aka IIFE) Revealing Modules AMD (typically via RequireJS) CommonJS (used by Node.js, use in browser via Browserify or Webpack) ES6 modules Bottom line, ES6 Modules are the future. The great news is, although they’re not yet supported in browsers, you can use ES6 modules today if you transpile via Babel (and as you’ll see below, you should). If you don’t want to transpile, CommonJS is likely your best bet for today. Since Node uses the CommonJS pattern, you can use npm to pull down 1,000’s of packages. CommonJS doesn’t run in the browser without a shim, so you’ll want to use a tool that packages it for the browser like Browserify, Webpack, or JSPM. 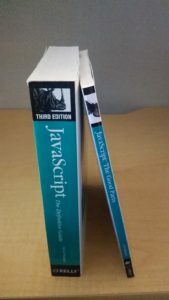 You don’t have to write ES5 anymore. Consider using an abstraction that gives you extra power. 9. JS Should Have an Automated Build We’ve already talked about linting, minification, transpilation, and testing. But how do you make all this happen automatically? Simple: With an automated build that watches files. Again, Gulp is a popular tool to tie all this together via its watch function, but Grunt and Webpack are other excellent options to consider. Or, if you’re a whiz at Bash you can simply use npm as a build tool. The point is, don’t expect people to remember to run these things manually. Automate and enjoy the benefits! 10. Use a Framework or Libraries Pull something awesome off the shelf and get rolling. Need to stay light? Try Backbone or Knockout. Or maybe plain ‘ol jQuery is enough. Want something more full-featured and opinionated? Try, Angular, Ember, or React with Flux. Do not attempt to start from scratch. Stand on the shoulders of giants. React with Flux is my current favorite combo for client-side dev. That’s why I just published a comprehensive Pluralsight course on the topic. In the course I walk through a build process that implements many of the practices above. The starter kit is on Github. A starter kit should include linting, minification, bundling, a production build, and a few example automated tests. I suggest including a simple example app that puts this all to use. Then provide a command that removes the starter kit and places the project in a state that’s ready for development. My starter kit is React Slingshot. I build this starter kit from scratch in my new course “Building Applications in React and Redux in ES6”. And even though my starter kit is specific to React, if you’re in Angular, Backbone, etc, the core principles and features remain relevant. That said, be sure to Google for other starter kits for inspiration. So why use a starter kit? A starter kit creates a pit of success. It makes following your team’s agreed list of best practices automatic. A good starter kit makes doing the right thing the easy thing. Well, That Was Overwhelming. Yes it was. We’ve entered an era where the front-end is complicated enough that we need front-end specialists. Don’t expect everyone on your team to understand how to do all this in detail. Agree on a starter kit that codifies all your decisions. This way, everyone can start with the same solid foundation on your next project. See things missing? Disagree? Chime in on Reddit. Cory House is the author of multiple Pluralsight courses including “Building Applications with React and Flux”, “Building Applications in React and Redux in ES6” and “Clean Code: Writing Code for Humans”. He is a Software Architect at Vinsolutions and trains software developers internationally on software practices like front-end development and clean coding. Cory is a Microsoft MVP, and founder of outlierdeveloper.com. Recently, a friend asked a question about the particular skills possessed by software engineers. What are the unique skills that software engineers practice? Drawing from my experience led me to an opinion. The idea I have come to realize over time is that I enjoy the meta of programming. The skill of learning the meta, or how to do what we do better, includes reading many well known books in context. I took specific examples of what I read over the years, applied it to my own observations practicing in the field and I answered in a way that I believed was most pragmatic. Me: In my opinion, if we think universally, I would say it is the practice of correctness and pattern recognition*. These are some of the skills that are unique to software engineers. Let’s exam these skills to add context. Correctness is seen in engineering as how correct the how is so that the solution for business can continue to be solved with high reliability. It is and must be a balance of strategy (designing) and tactics (execution). The examination of the how’s how in a vacuum appears well in chapter four of Programming Pearls — Writing Correct Programs. … keeping code simple is usually the key to correctness. — Jon Bentley Pattern Recognition Pattern recognition is strongly tied to the organization of that correctness by creating the necessary abstractions and component boundaries. Pattern recognition leads to concepts of reuse to modularize and isolate code. We monitor duplication, find areas that can be reused, and refactor complicated parts of code. It is what software engineers do well. Our attention to that detail is vigilant. We recognize knowledge as it is created over and over again. Then we simplify. Pattern recognition is discussed at length in the community and there are many sources to read up on their techniques. The origins where I learned about this skill reside in chapter two of The Pragmatic Programmer — The Evils Of Duplication. Make it easy to reuse. DRY — Don’t Repeat Yourself. — Andrew Hunt & Dave Thomas A Teachable Moment Once I gave this response, my friend followed up with another question. If correctness and pattern recognition are these skills, how do you teach them? Of course, my answer was simple enough. At about the same time I had thought about writing this brief on these skills, another book was mentioned because I’d been asking around. A professor at Stanford has been teaching a course on the meta and has resulted in a book of some of his course findings. I was shocked when I found out that he has the same gripe as me, I purchased the book and devoured it. From chapter thirteen, A Philosophy Of System Design. Engineers tend to be very detailed oriented. We love details and are good at managing lots of them; this is essential for being a good engineer. But, great software designers can also step back from the details and think about a system at a higher level. — John Ousterhout** Conclusion In my opinion, correctness and pattern recognition are skills*** that software engineers should strive to understand and do well at. The result is higher quality software. All other unique skills, if there are others to categorize, may very well be based off these. 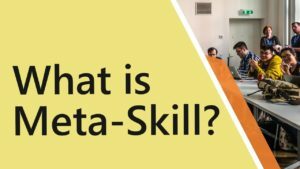 I invite others to share examples of meta skills they have practiced over time. Fundamentally, correctness and pattern recognition have tie-ins to outcomes of complexity (also known as cognitive load). There needs to be a way to balance both intelligently so that the complexity is mitigated. In essence this is why these skills are, in my opinion, the distillation of what we do. * What is interesting about correctness and pattern recognition is they also have a strong association to practices around machine learning. ** If you want to know more about what John is doing, take a look at his video. *** Engineers should also practice high levels of learning and communication. These concepts aren’t unique to software, but have strong associations to the sciences.